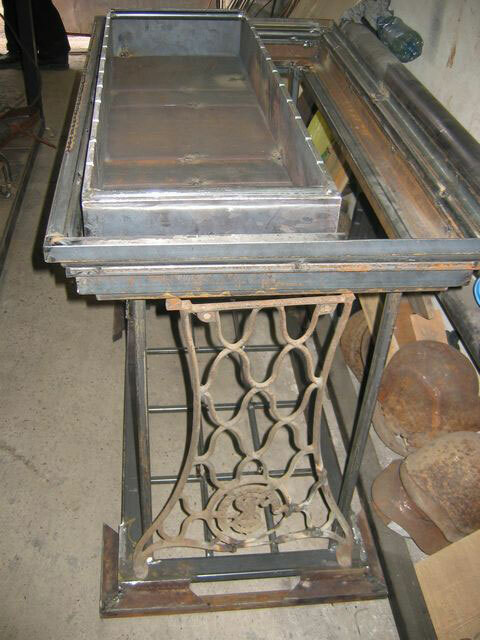 Vadim finds many interesting things for his job ….at scrap metal collection sites. 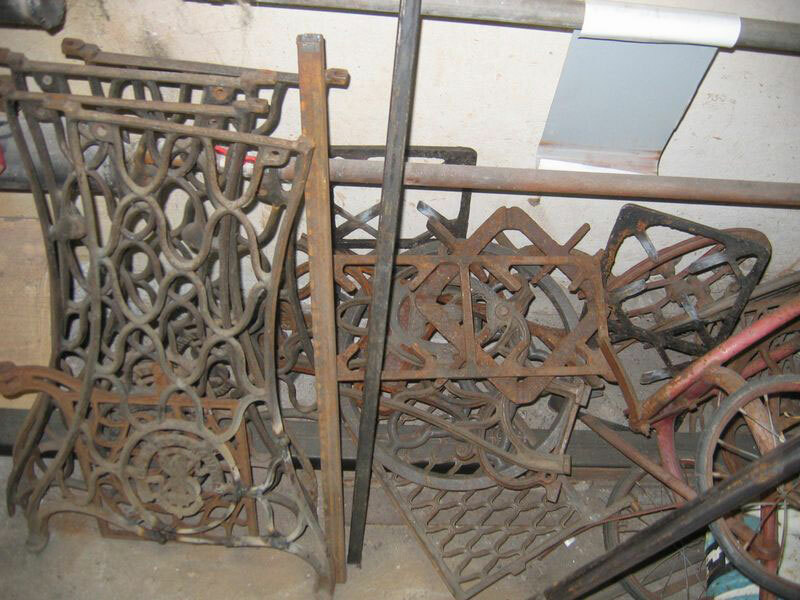 According to him, there you’re most likely to find spare parts for old treadle sewing machines. And this inspired him for the creation of a beautiful fire pit. 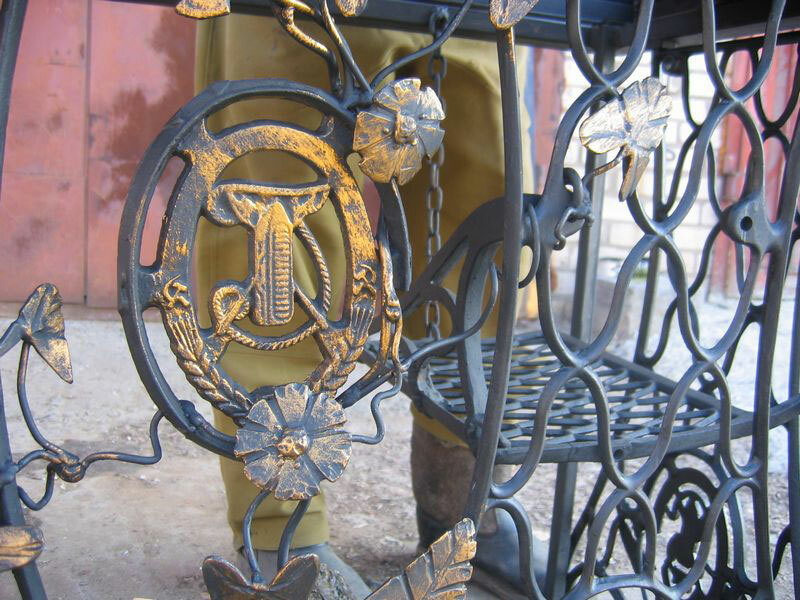 Bridges in St. Petersburg and antique forged furniture are both beautiful and costly. But for a handy man with a great desire to create something nice it’s not a big problem. Being a big admirer of history, Vadim approaches the re-purposing of each thing very carefully. Most of the 20th century was an era of treadle sewing machines; hence there were hundreds of patterns for casting their bases. Almost every machine had a craftsman’s mark and an identical number. And every craftsman had his personal, distinctive style. 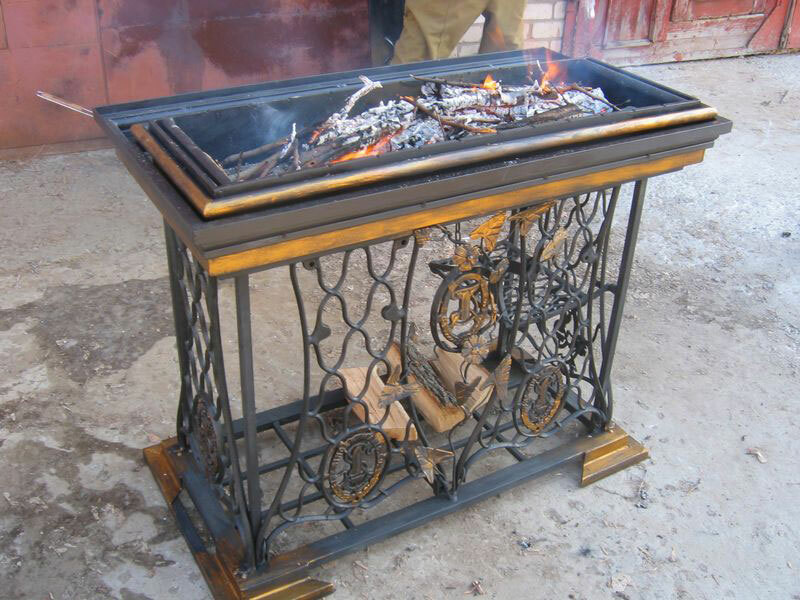 Vadim also has one – it’s natural, floral and living – his vintage fire pit is framed by curved steel flowers and leaves. The legs of old sewing machines have practically universal dimensions: 47.5 cm in the bottom part, 33 cm in the upper part and the height of 66 cm. Considering these dimensions, the body for the fire pit can be made. 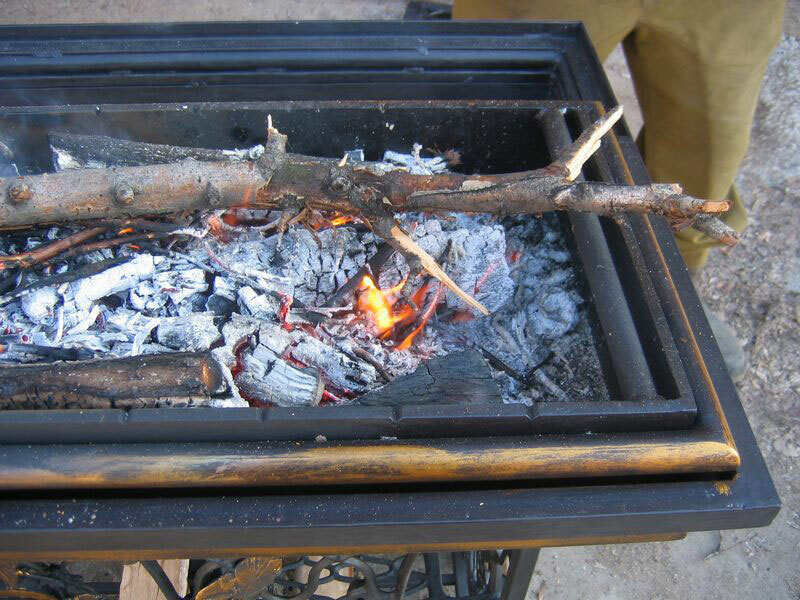 The brazier itself has the height of 10-11 cm, the width of 32-34 cm and the length of 95 cm. 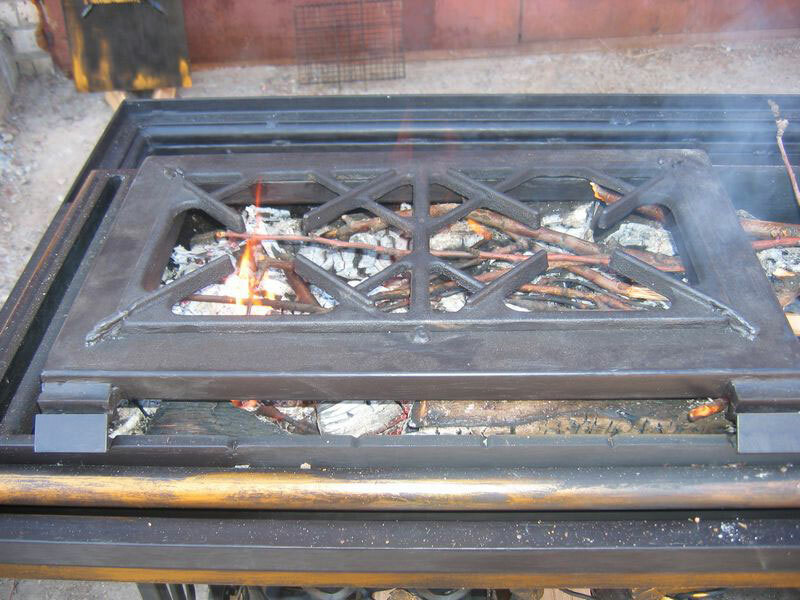 Vadim makes it from 1-cm-thick steel, which allows for roasting meat on a standard grill. A convenient height of 80-90 cm is obtained by means of legs. 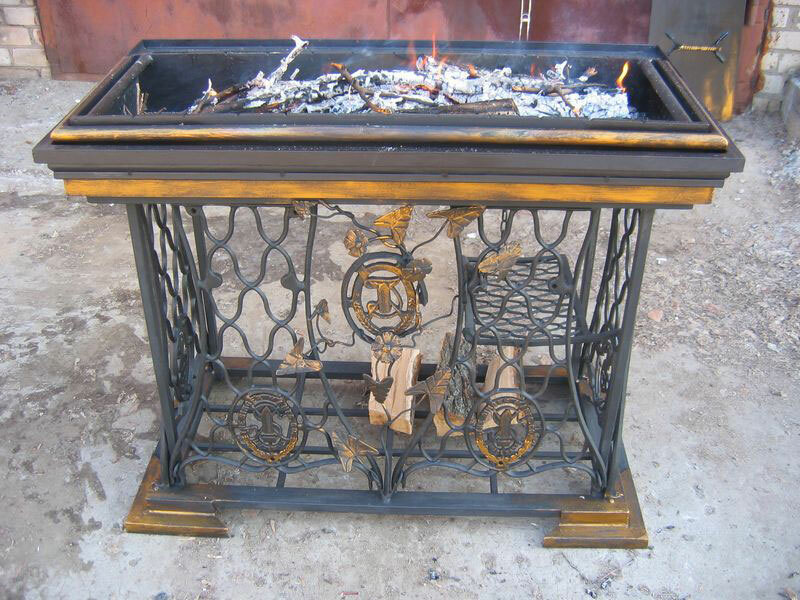 For the sake of aesthetics, the brazier can be additionally decorated with a frieze or complemented with a convenient countertop. 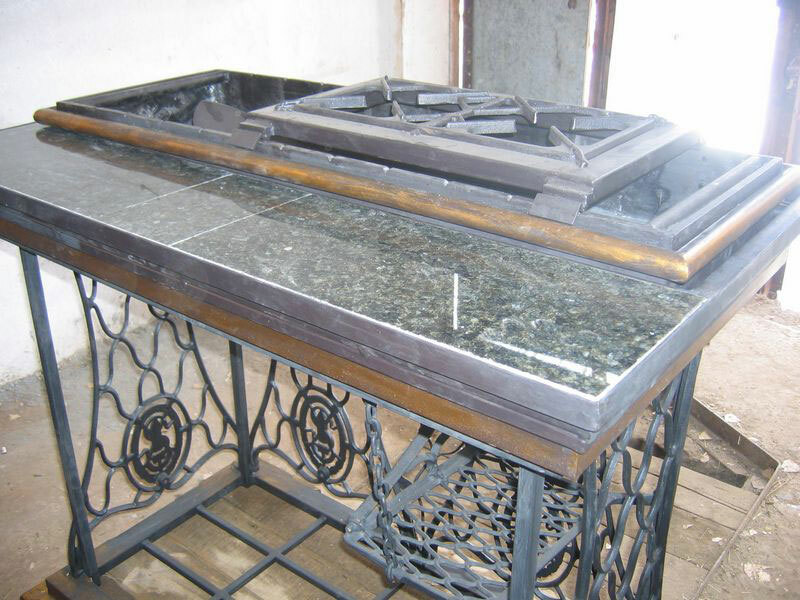 Vadim used a granite slab in his project. The brazier, frieze and the perimeter of the body should be burnished using oil, a fork and a piece of lard. Also some ground graphite can be added to oil. Working on a homemade fire pit, remember that cast iron is quite fragile, which means it can be joined with other metals only with the help of bolts or wire (the latter can be welded to the framework). Fractures and cracks can be fixed using a semi-automatic welding machine.